Scientists from NTU Singapore, the world’s No. 1 young university, have developed an antibody which boosts the survival chances for patients suffering from influenza and pneumonia. Proven effective in lab tests, the antibody is now being made suitable for use in humans. The scientists are also using the new antibody to develop a diagnostic kit which can help doctors accurately track the recovery progress of flu and pneumonia patients. The patent-pending antibody has generated much interest globally. 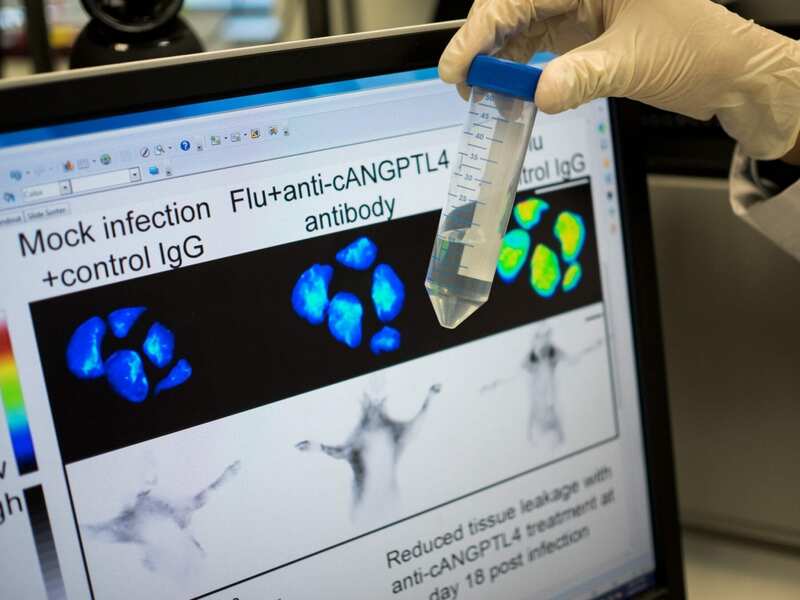 Two biotech multi-national corporations, Abcam based in the United Kingdom and Adipogen International based in the United States, have won the rights to license the antibody. The two multinational companies will produce the antibody for sale to global organisations doing research in vaccine and drug development. The breakthrough finding was published in the latest issue of the prestigious international peer-reviewed journal Cell Reports. Influenza epidemics, such as the deadly 1918 Spanish Flu which killed over 50 million people or the severe acute respiratory syndrome (SARS) outbreak in 2002, are of big concern to governments and the general populace worldwide. The World Health Organisation estimated that influenza results in about 3 to 5 million cases of severe illness worldwide each year, with about 250,000 to 500,000 deaths annually. Pneumonia is the leading cause of death in children worldwide accounting for 15 per cent of all deaths for children under 5 years old, and is among the top 10 leading causes of death in the United States. This new antibody was developed by NTU Singapore’s Associate Professor Andrew Tan, who led an interdisciplinary team of scientists from Singapore. “While it will take up to eight years to develop the antibody into a useable treatment for human patients, we are currently developing a diagnostic kit which should be commercialised in about three years,” said Assoc Prof Tan. April 19, 2019 - Five Questions for Mark Honigsbaum: The Scourge of Pandemics Undark MagazineIn his new book, the author of "The Pandemic Century" chronicles the stubborn threat of infectious diseases over the last hundred years. April 24, 2019 - China’s Pig Pandemic Should Worry Everyone BloombergThe way officials have responded to the spread of African swine fever has brought back uncomfortable memories of SARS. April 17, 2019 - 10 Fictional Pandemics That Will Make You Sweat Book RiotShake and shiver for these fictional pandemics, epidemics, and extinction-level disease outbreaks. Who knew that viruses could be such good reading? April 23, 2019 - Surviving the Plastic Pollution Pandemic, May 1 Maui NowA free presentation titled, "Thinking Like an Island: How to Survive the Plastic Pollution Pandemic," will be offered by presenter Hannah Bernard.